*Rapper Webbie has been arrested in Tennessee on drug possession and tampering with evidence charges after he was pulled over by Highway Patrol following a performance in Kentucky. 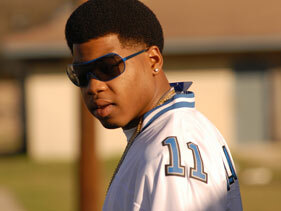 Webbie, whose real name is Webster Gradney Jr., was riding in a rental car that was stopped Monday south of Nashville. Authorities say the 25-year-old rapper from Baton Rouge, La., was found with $13,000 and 2 ounces of marijuana, according to the AP. Troopers also say he threw marijuana out the car window. The rental car’s driver was charged with driving with a suspended license and another passenger faces a gun charge. Webbie’s album “Savage Life 2” made the rap charts in 2008.
arrestdrug possessionmarijuanatampering with evidencetennessee highway patrolwebbiewebster gradney jr.